Converting an FLV to AVI format is simple with FLV.com, the absolutely free download for converting flash video to AVI files. No registration required, no hidden fees. Tired of bookmarking a video online only to have it disappear? Now you can save it by using this free FLV to AVI converter so that you can enjoy the video anytime. Just follow these step-by-step instructions! Download the free FLV Converter from flv.com and follow the instructions to install. 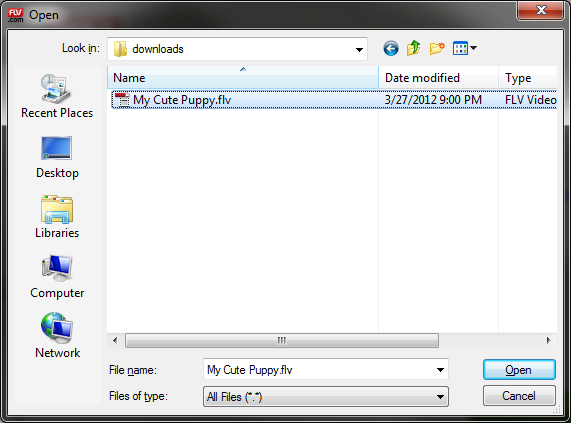 Open the application FLV Converter that you downloaded and saved to your computer. Browse and click on the flv file you wish to convert. Click the tab "Output Path" to choose your file destination. Click "Convert video", progress bar indicates how much time you have left. That's it! You now have your video in AVI format. AVI files were designed to be containers for audio and video data. AVI stands for Audio Video Interleave, created by Microsoft. The AVI format is the standard format for most conversions as it is supported by most operating systems and hardware. You can convert FLV to AVI files and save it in varying compressions for e-mail, web, or DVD. FLV to MP3, FLV to MP4, FLV to 3GP, FLV to WMV, FLV to MPEG, FLV to MP2, FLV to OGG, FLV to ASF, FLV to 3G2.